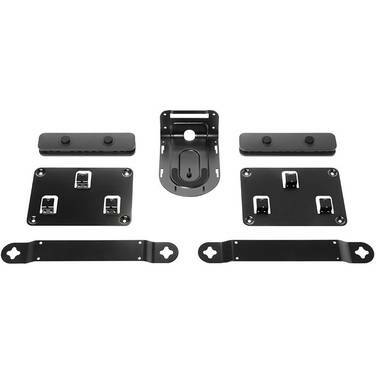 Achieve a streamlined installation of each Rally system component with included brackets and mounting hardware. Camera bracket provides a secure, stable wall mount above or below the display, or cleverly inverts for near-ceiling installations. 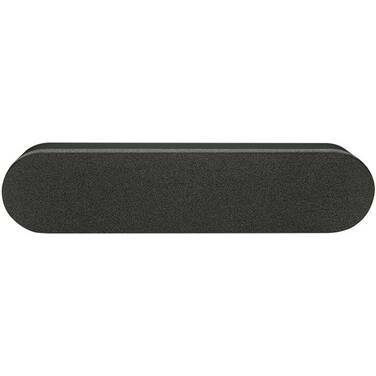 Mount speakers directly to the wall with low-profile brackets. 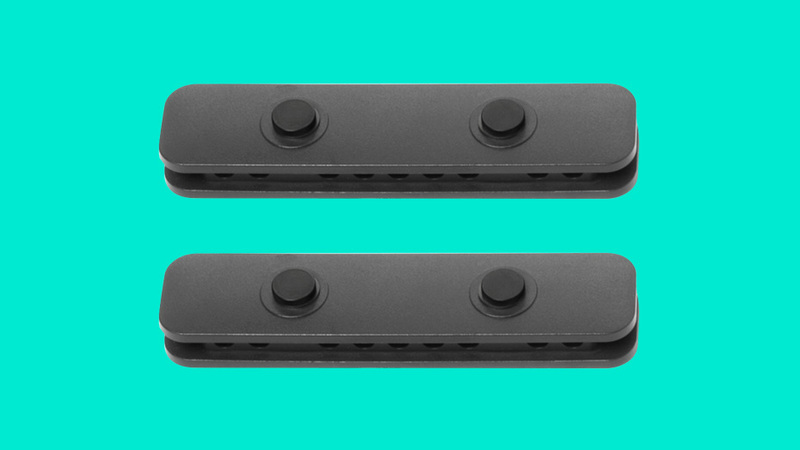 Position hubs on a wall or beneath a table with ventilated hardware, then secure connections with the cable retention brackets for a professional appearance. The camera bracket provides flexibility to mount the camera on a wall directly above or below the display for a natural line of sight and eye contact with remote participants. For larger meeting spaces, the bracket can be inverted to position the camera near the ceiling for a more expansive view. A tripod screw and three-point pin system provides stability and helps keep the camera steady when the lens is in motion. 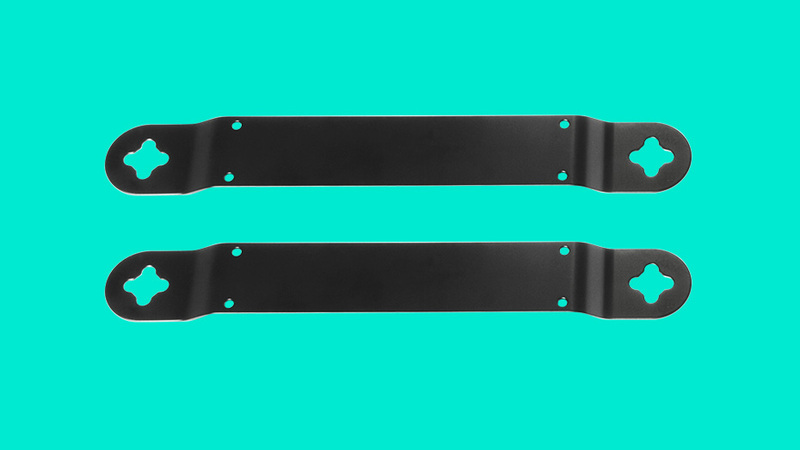 Each accessory in the Rally Mounting Kit is tailored to the system component it supports. The two brackets that mount the Rally speakers on either side of the display create a sleek “floating” appearance while enabling the speakers themselves to deliver their full acoustic potential. The result: lifelike conversational sound that helps bring people together even as the enabling technology fades unobtrusively into the background. 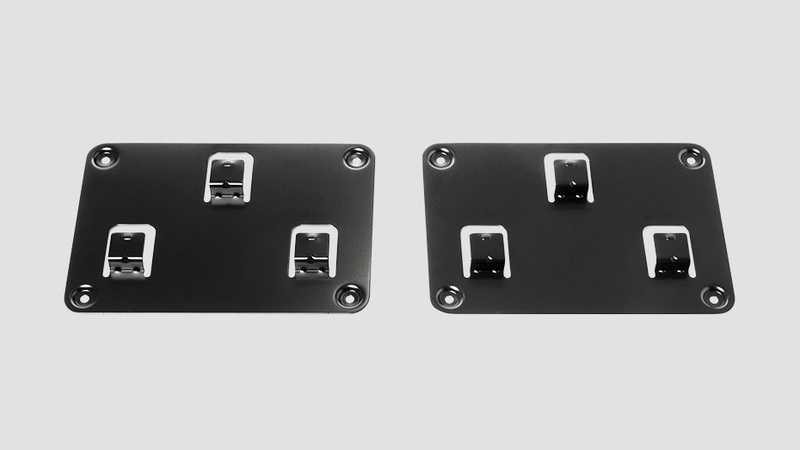 Two ventilated hub brackets provide versatile mounting options to position the Display Hub and Table Hub on a wall or beneath a table. 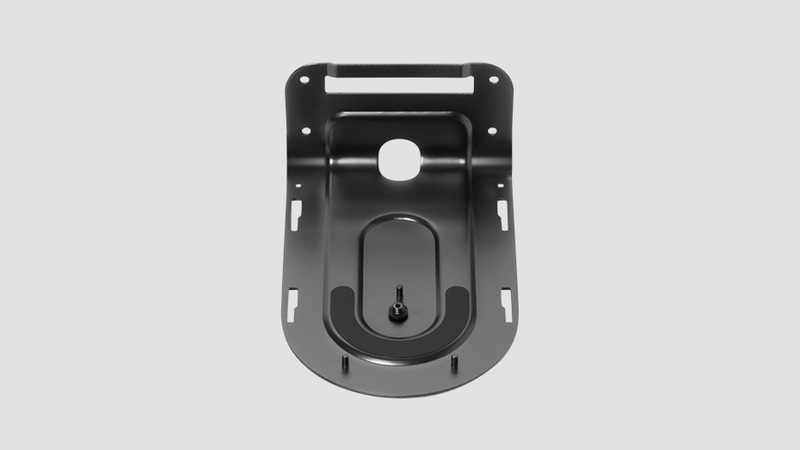 The brackets are engineered with elevated standoffs to ensure ample air circulation for reliable cooling. Guard against accidental disconnections and related trouble tickets while keeping cables neat and tidy. Each two-piece bracket mounts near the Display Hub and Table Hub to keep the power, A/V, and data cables securely plugged in. Note: Rally Mounting Kit is designed for Logitech Rally systems only. A different mounting system is included with the standalone USB Rally Camera.